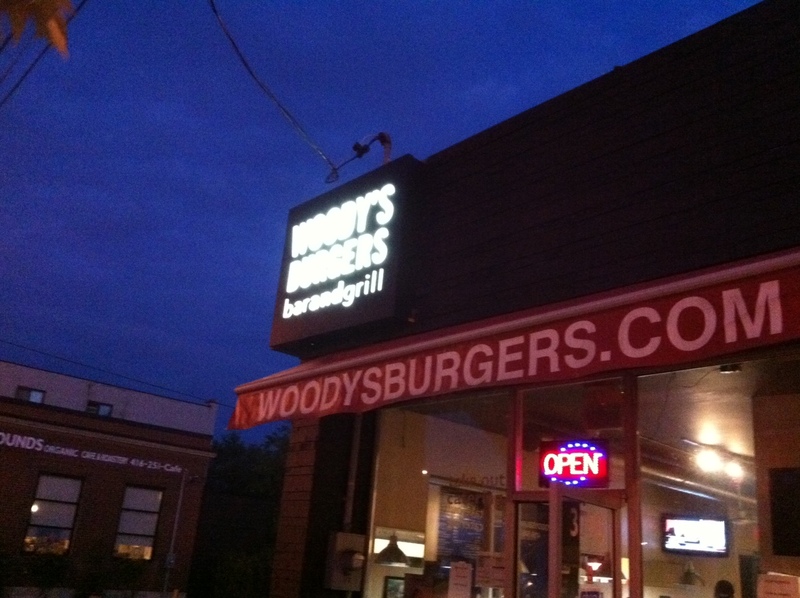 My hunt for the best burger in the city brought us to Woody’s Burgers tonight on the Lakeshore Blvd. 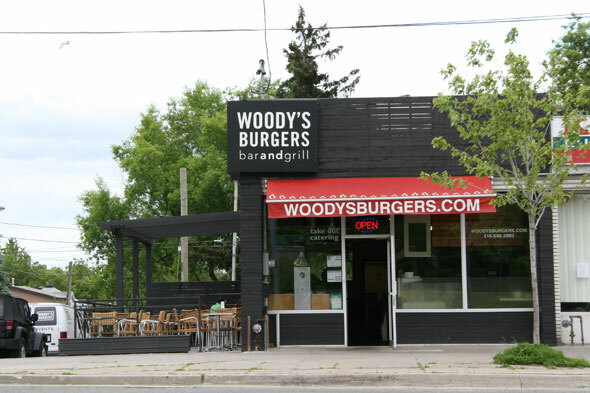 Through my research today the reviews were saying that Woody’s had the BEST burgers. I wouldn’t say the best, but not the worst either, they are somewhere in between good and okay. Shawn and I didn’t arrive until 8:25 (they close at 9pm) so my bun and toppings were the last of the day. I ordered the Beef Classic with cheddar, the standard burger. My burger although good was a bit dry and my bun a bit hard. 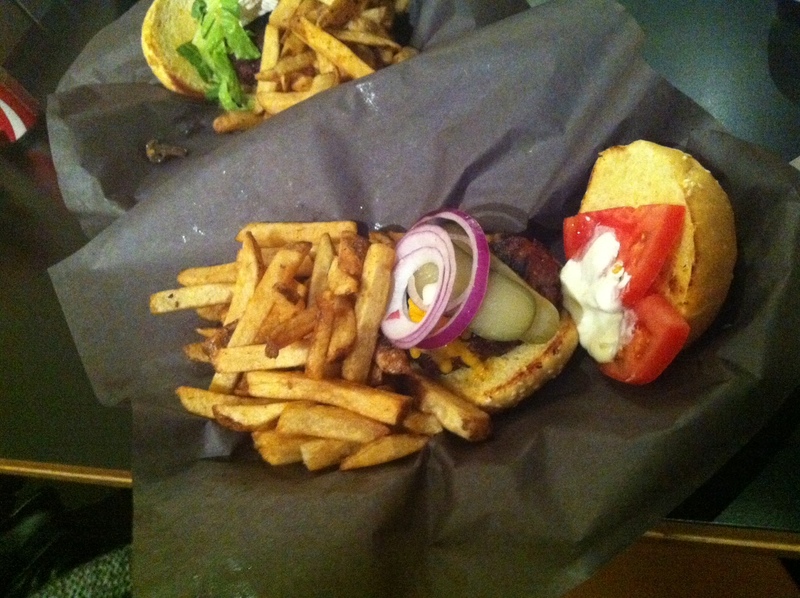 Saying that, the burger had a real nice beefy flavor which I liked a lot. I think that if I was there at 4 in the afternoon when everything was still fresh I would have had a much better experience and that is why I will definitely go back. Shawn ordered the Bistro Burger, it comes topped with brie, sautéed mushrooms and Dijon mustard and he said it was “one of the best burgers I’ve ever had”. Strong words again which makes me think that my burger was just a bad choice. The fires were great, chip cut thick fries with skin on, YUM! But stay away from the coleslaw! That was a mistake; it tasted like plastic, which was a real bummer because there is nothing better than fresh crisp coleslaw with a hot burger. So the hunt continues, stay tuned next week for Burger Wednesdays treasure hunt! Woody Burgers are my favorite! Give them another chance!